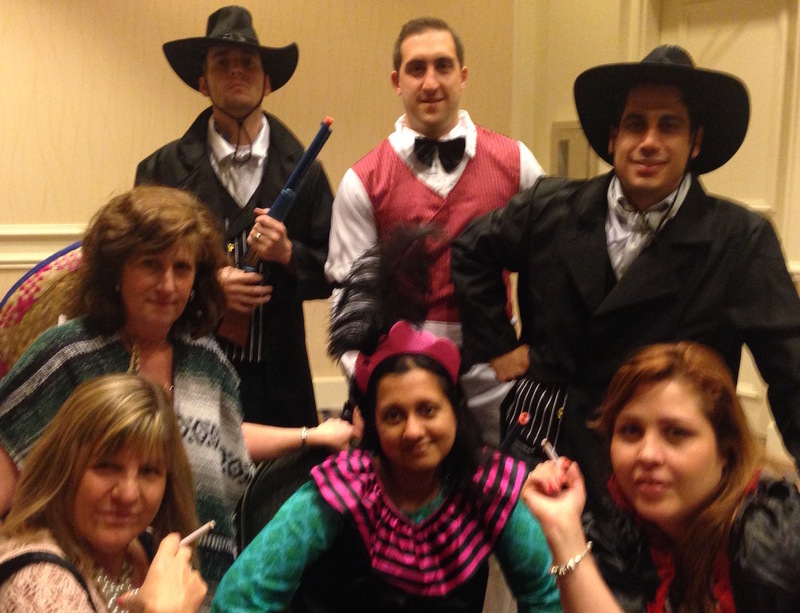 Teams take Center Stage in this fun team building event! Create and perform short skits to highlight your meeting theme or company's products or services. Step into the spotlight and turn up the fun with Center Stage Team Theatre! Center Stage Team Theatre is a creative skit-based event that gives everyone the chance to shine. In Center Stage Team Theatre, teams will plan, create, stage and perform short skits, sketches or mini-plays designed to reinforce the theme of your meeting, drive home your corporate message or help familiarize your staff with your line of products. Your Center Stage Team Theatre program starts with a set of fun, high-energy improv exercises designed to get everyone laughing, contributing and creating together. Next, teams are challenged to invent a short sketch or skit based on a surprise theme provided by PossibiliTEAMS or a customized theme that's meaningful for your group. Center Stage Team Theatre staff will help guide teams through all the phases of their production, including creating a story line, developing an entertaining script, choosing the right props and costumes, and staging the action. There’s a role to play for everyone, whether it's onstage with a speaking role or support role, part of a chorus line or dance number, or backstage as a sound or special effects wizard. After rehearsal, it’s time for teams to take Center Stage! Each team will present their skit or mini-play in front of the entire audience. Audience members vote and prizes are awarded in a variety of categories like funniest moment, most over-the-top performance, best use of a company catch-phrase and best overall team production. Whether your meeting is at a hotel, resort, conference center or onsite at your workplace, Center Stage Team Theatre will help make your meeting a success.